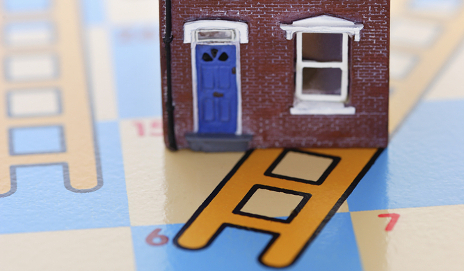 The government has announced plans to extend the Help to Buy Scheme to help house-hunters get on the property ladder. Will the initiative help you make the move from renting to owning your own home? While the launch of Help to Buy has offered some encouragement to those looking to take their first step on to the property ladder, it is not the only – or necessarily most competitive – option available. Our research shows that it is still less than clear where first-time buyers can find the most suitable mortgage for their circumstances. Only a handful of lenders are offering Help to Buy-backed mortgages at the moment. This includes RBS, Natwest, Halifax and Bank of Scotland. HSBC said it would join the scheme later in the year, with Virgin Money and Aldermore saying they would offer Help to Buy mortgages from January. 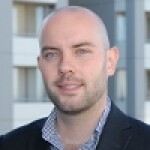 When you factor in the existing range of first-time buyer products from other lenders such as guarantor mortgages – as well as a number of other 95% LTV home loans – it’s not immediately apparent what the best option is. What works for you will of course depend on your personal circumstances. We would always recommend that you shop around and seek independent, impartial mortgage advice to help navigate the mortgage maze. After all, lenders not involved in the scheme may well adjust their rates too and borrowers may find that a Help to Buy-backed mortgage is not necessarily right for them. If you’re considering the scheme you’ll also need to be mindful that while there may be more mortgages available with a smaller deposit, lenders will still apply tough criteria requiring them to prove their suitability for the mortgage. Is the Help to Buy scheme offering you a lifeline to get on the property ladder? Or are you worried that the scheme will have a wider impact on the rest of the mortgage market? As I understand it the lenders will be taking a much more sensible attitude towards ability to make repayments that they did in the boom years. Let’s hope so. If you have a deposit of 10% or more then you will pay a lower interest rate than if you join the help to buy with 5% – so htb is probably not for you. If you want relatively frequent housing mobility because of your job then you’re better off renting. If you want to settle for a few years and can only raise 5% deposit, then I think you would be well-advised to go for the help-to-buy scheme. Compare how much your current (and future – if interest rates rise) repayments will be with what you would otherwise pay in rent. Interest rates will also affect rents! Negative equity? There is a housing shortage so prices should not decline unless we run into another major crisis – in which case other investments will also fall. If you don’t need to move house then you won’t be affected and recovery always takes place. And when you do move, you could take some cash with you from your sale – if you rent you take nothing.